Solarium Energy was founded in early 2006 by Casey & Marisa Johnson. As an electrical contracting company for many years, we felt that we needed a change. Always the outdoor enthusiasts, we pondered the question; “What can we do, how can we contribute to the well being of the Planet?” We want to preserve the Earth for the next generation, leave only footprints for our children to walk in. Fossil fuels, pollution, rainforest depletion, all of the disruption of the natural world. We are all responsible for the condition of this beautiful place. We are also all part of the solution. Fossil fuels will not carry us into the next age of the world. As a complete alternative Renewable Energy solutions company (engineering, product sales, and installation), we use our electrical construction experience to create a positive impact on our community, our neighbors, both near and far. Solarium Energy is a full-service sales and installation company. 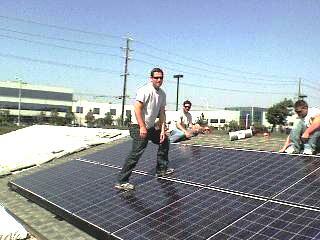 We consult and engineer Energy Systems and sell Renewable Energy products nationwide. As an installation company, we serve both Southern California (primarily San Diego, Riverside, and Imperial Counties) and Northern California (primarily from the East Bay Area to Sacramento). We can help you with your state and utility rebate paperwork, no matter what state you are located in. Here at Solarium Energy, we are committed to providing the highest level of customer service. It is our belief that our relationship with our clients can only be successful if we have provided the best. 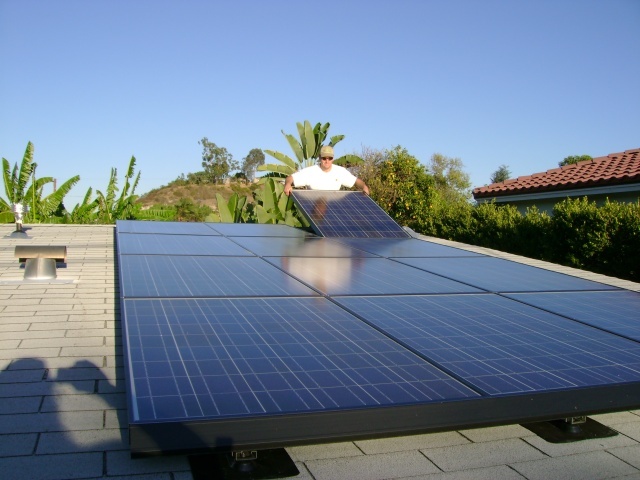 This includes detailed craftsmanship and top quality solar products. From start to finish and beyond, Solarium is dedicated to bringing Renewable Energy products and services to our clients; hassle free and with a warm, friendly smile. A California contractor in business since 1997. In Telecommunications Construction since 1992, High-Voltage Electrical Construction since 1996. Previous employers include GTE (now Verizon), Cox Communications, City of San Diego. Harness the sun. Conserve fossil fuels.